Hi all, I'm really a newbie here. I'm studying the 3rd Person template to learn something, and one problem I've found is, if I want i.e : If "right mouse button" then Aim. My programming knowledges are few, but I tried to copy the jump "set IsInAir?" and I created a bool "IsAiming?". 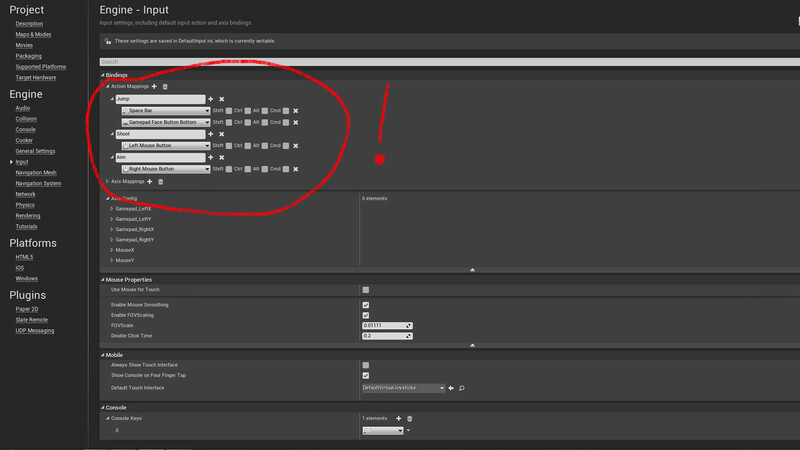 In the first image I set up the inputs. 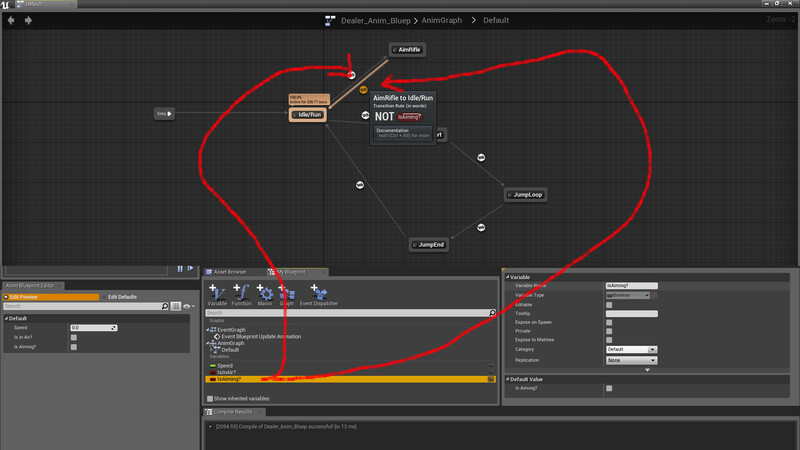 In the second image (animtree) I set up the anim with transition. In the third image, I copied the jump comment and try to create the aim one. When I only change the "setter" in the set jump copy (now Set IsAiming) the character aims when is jumping, but I want to aim when the character walks, not when he jumps. Then I tried to set the input order and... I don't know how to continue. If anyone can tell me the way or the idea of how to continue it will be great. I don't know how to make an input run through my BP when I hit it over and over again? What is the best way to blueprint a trading card actor so I can store/retrieve stats from it? Detecting last input method. 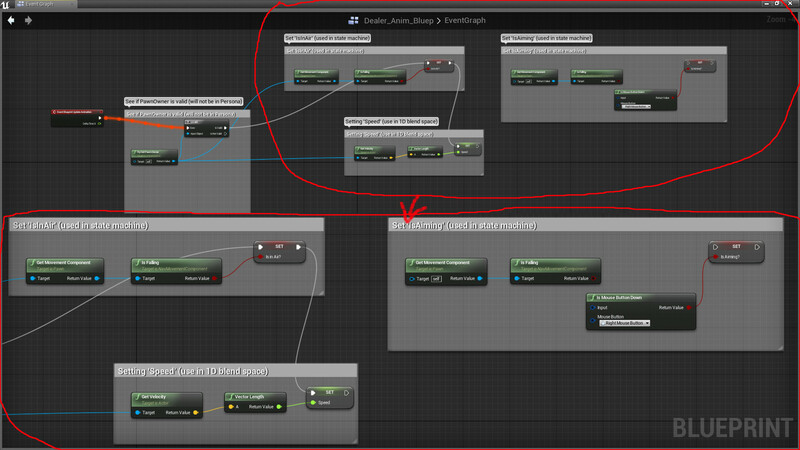 Using "Key Is ... Key" causes always dirty Blueprint. How do I take off a target on a variable to make this work? Why does the visibility of my PointLight work fine in Overlap but not KeyPress?